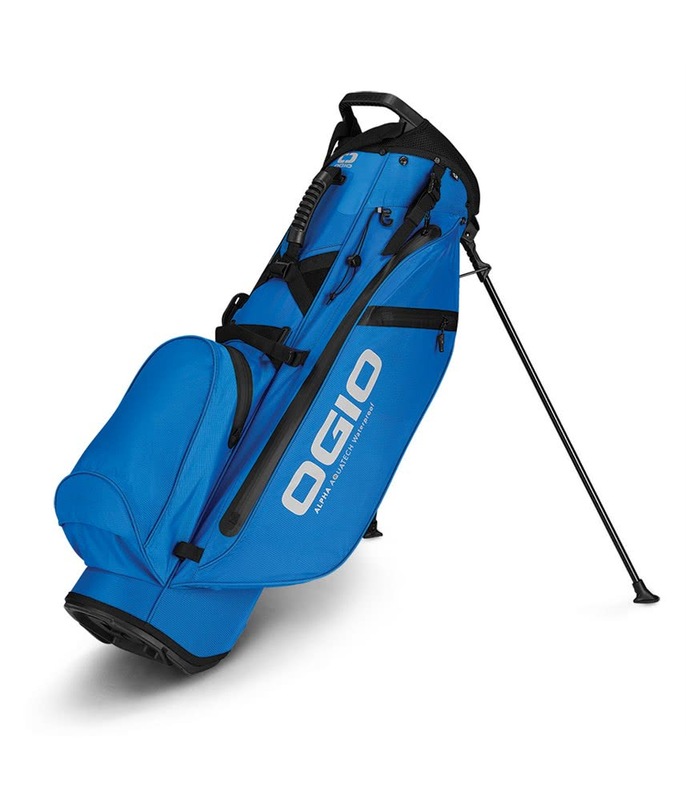 The Ogio Alpha Aquatech 504 Lite Stand Bag features a lightweight, durable waterproof construction to provide the most incredible protection and performance year-round. 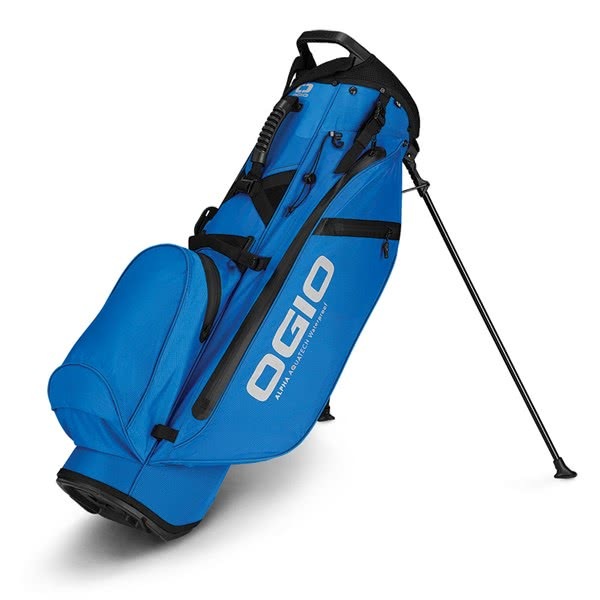 Ogio have used their Aquatech 200D Ripstop fabric and featured YKK waterproof zippered pockets to provide ample storage for the golfer who wants a comfortable, balanced and lightweight carrying option. 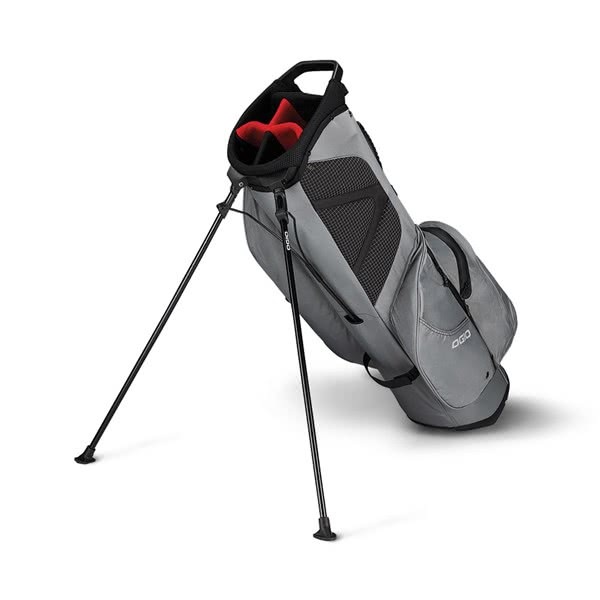 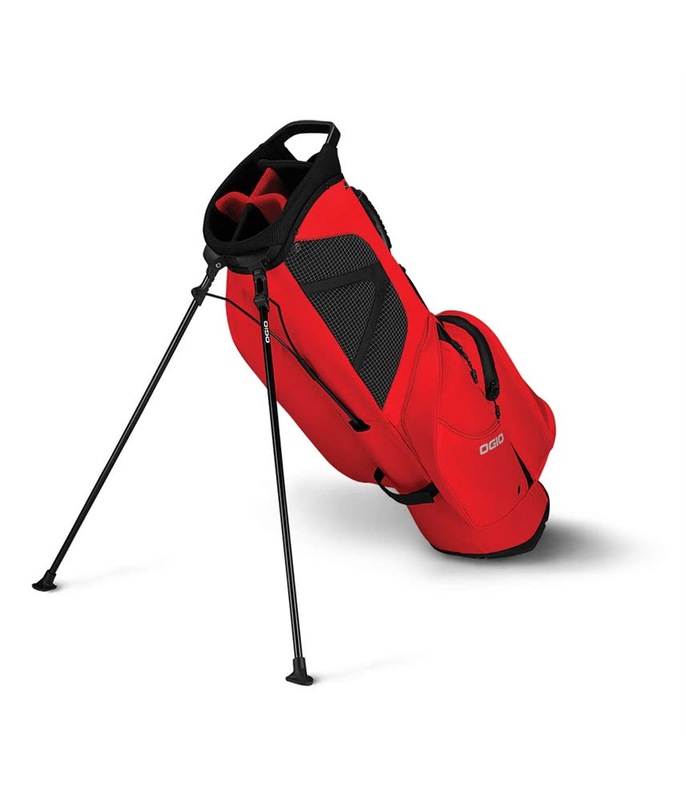 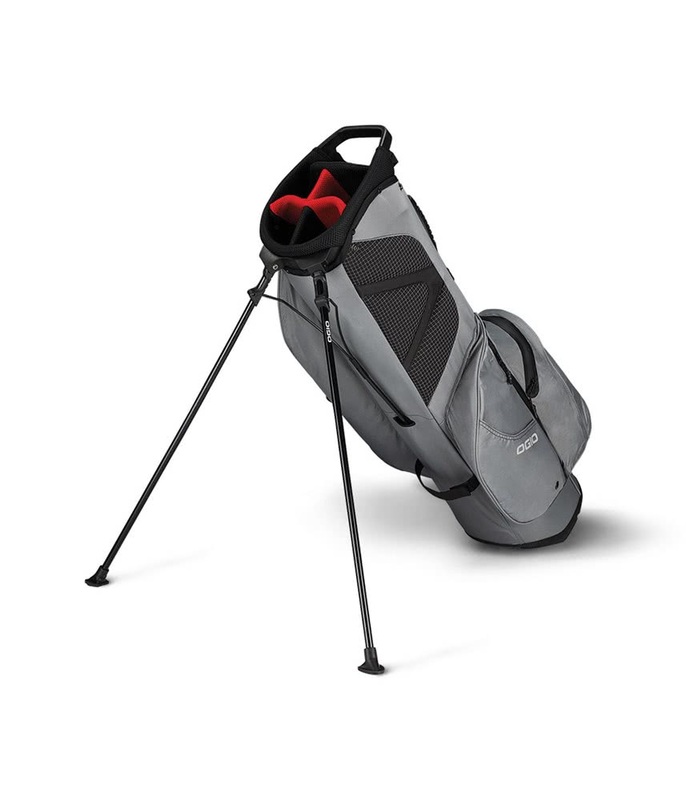 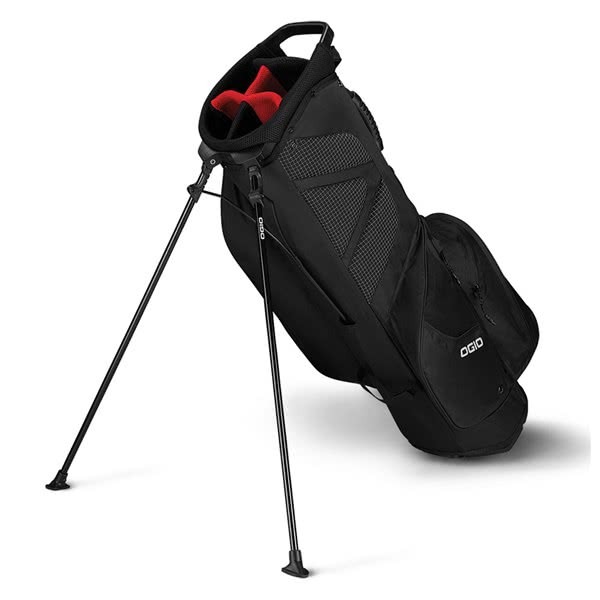 All four of the pockets on the 504 Lite Stand Bag are easily accessible and large enough to carry everything that you would need for 18 holes of golf. 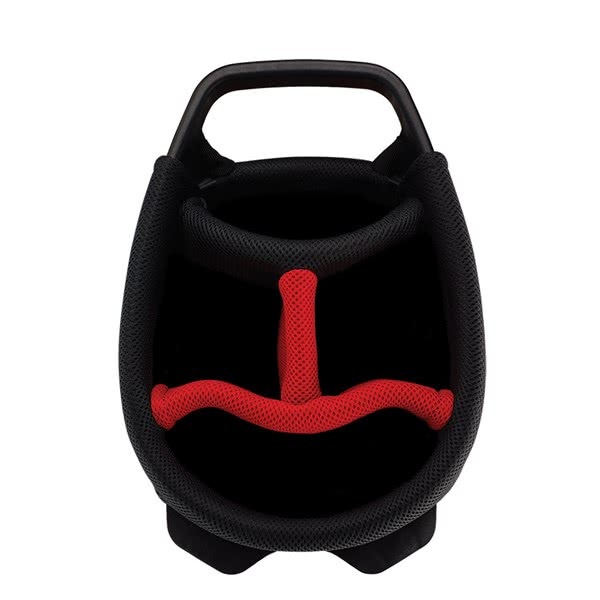 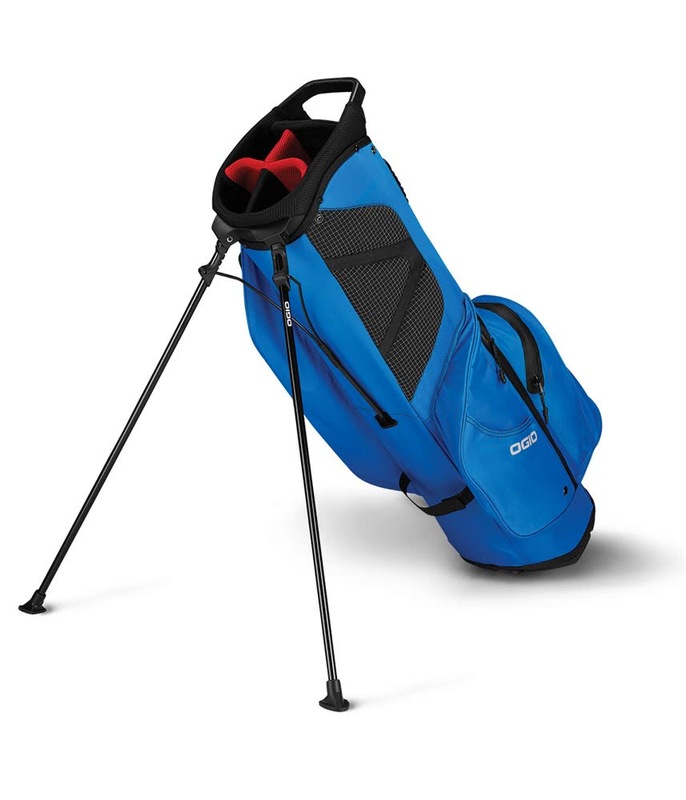 A cushioned four-way divider top has been used to provide ample storage and protection for your golf clubs. 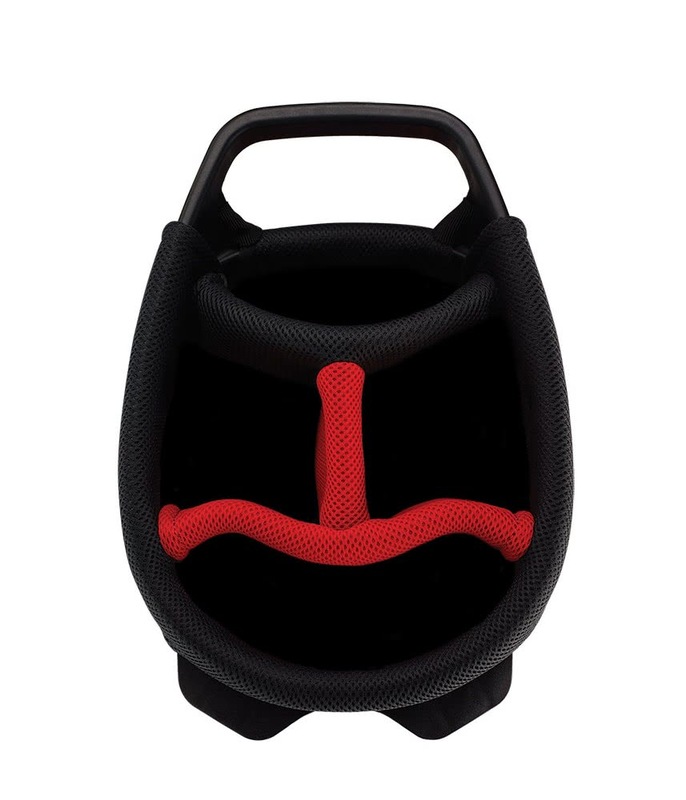 An integrated grab handle aids lifting, lowering and loading. 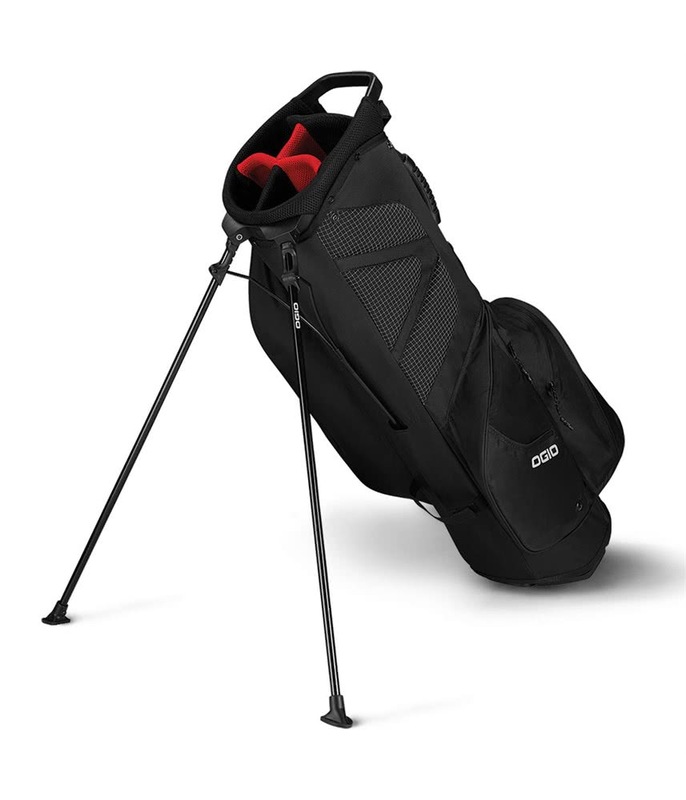 A redesigned dual strap carry system provides the perfect blend of adjustable comfort and balance when the bag is fully loaded. 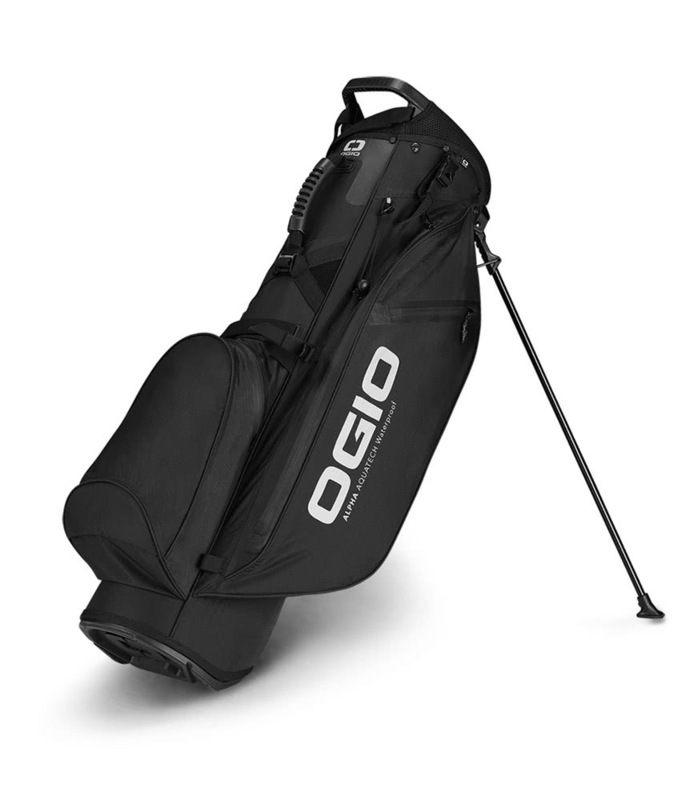 Ogio have used a disc system that will improve weight distribution across your shoulders for an improved carry. 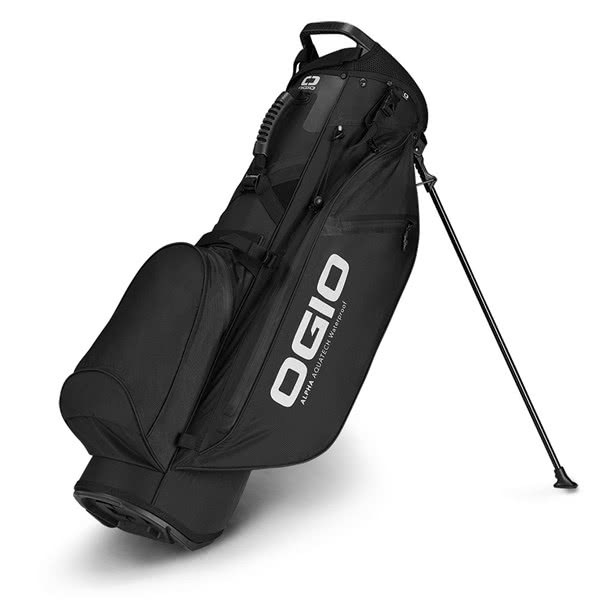 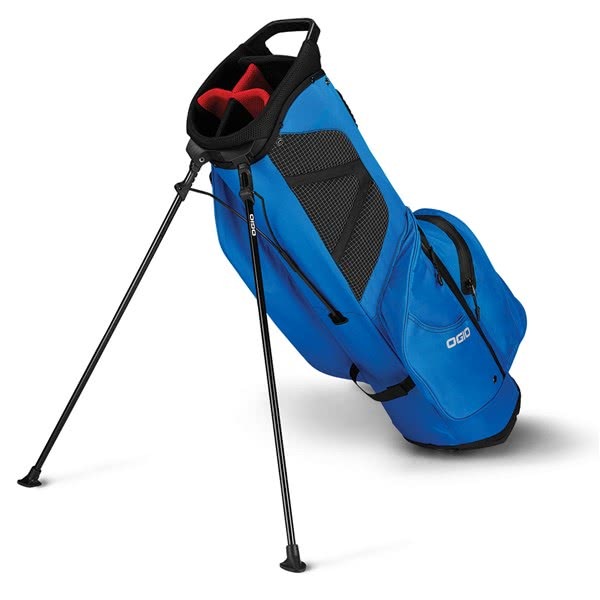 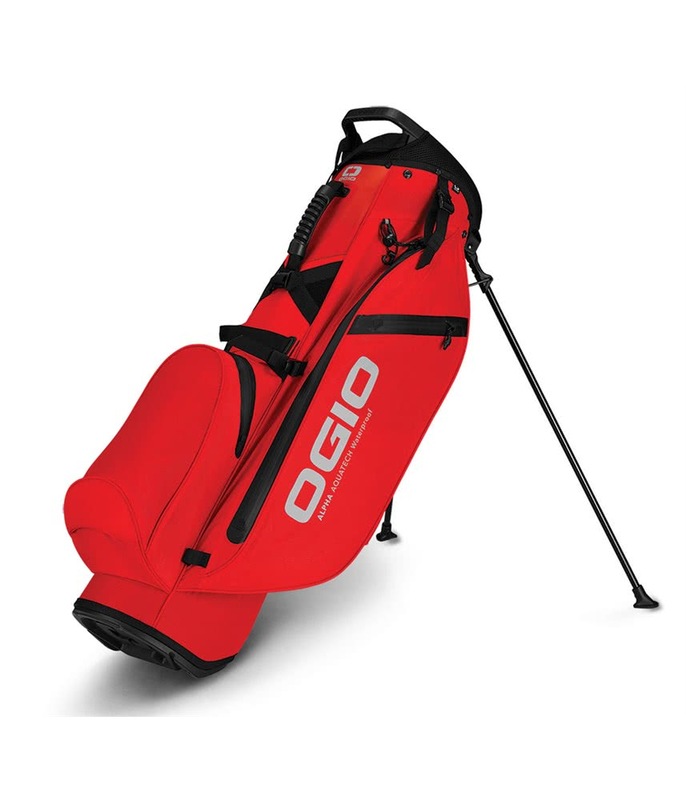 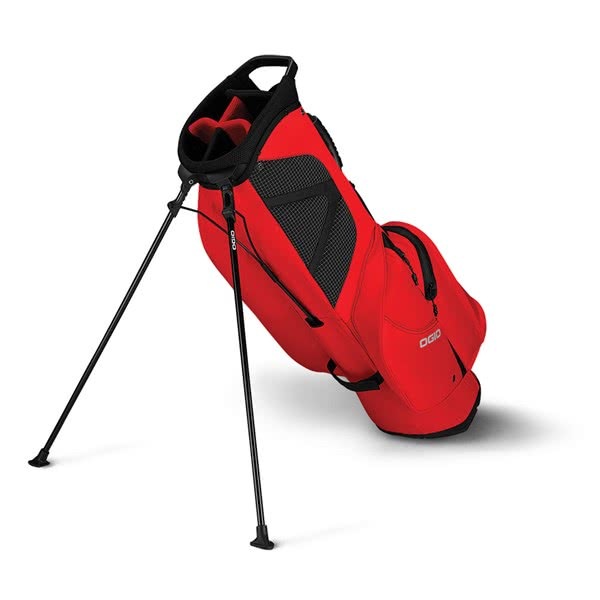 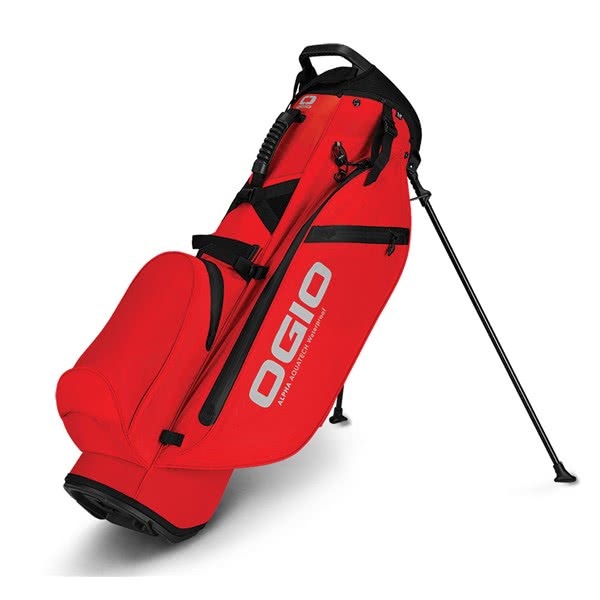 To provide incredible stability the Ogio 504 Lite Stand Bag features a lightweight, top mounted stand mechanism with non-slip pads that is easily activated and can be locked when retracted for safe transit or if you want to use a trolley.